Join us as we support one of our own Unite Church members, Lukas Behnken, producer of the MULLY movie. We will be watching the 7pm showing on Oct. 5th at Santa Anita. What happens when a six-year-old boy in Kenya is abandoned by his family and left to raise himself on the streets? 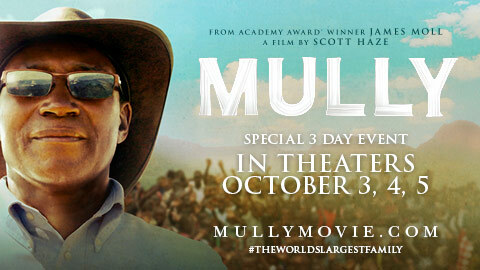 Mully is no ordinary rags-to-riches tale. It’s the true story of Charles Mully, whose unlikely stratospheric rise to wealth and power leaves him questioning his own existence, searching for meaning in life. Against the better judgment of family and community, Mully sets out to enrich the fate of orphaned children across Kenya. Jeopardizing his own life and the security of his family, Charles Mully risks everything and sets in motion a series of events that is nothing short of astonishing.